For over 10 years we have been manufacturing high quality heating equipment. Our endeavor is to supply well-engineered products & systems to cater to the specific needs of our clients. Customer satisfaction is of paramount importance & forms the foundation of our business policy. We have an excellent reputation for the quality of our product range & after sales service. We pioneered the development of shell type hot water generators for milk pasteurization in the dairy industry. From the basic hot water generator, we have expanded our product line to include steam boilers, thermic fluid heaters, hot air generators, waste heat recovery units, burners, water softeners & various other boiler accessories. With the prime objective of fulfilling the diversified demands of the customers, we are engaged in putting forth an astounding assortment of Thermic Fluid Heater that works with fuels like wood, coal, agro-waste and biomass. Our range is manufactured with high quality material of construction obtained from reliable vendors in market. We have experienced professionals, who use latest techniques in the manufacturing process for better results. Our range can be availed by our customers in various specifications and we also customize them as per the need of customers. We have gathered huge appreciation by supplying and exporting superior quality Hot Air Generators. 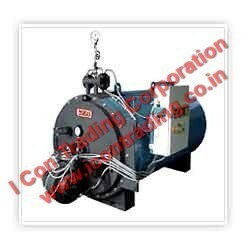 These machines are primarily used in producing hot air necessary for effective combustion inside the boiler. Our offered generators are procured from trusted vendors, who manufactures them by utilizing fine quality raw materials and modern machinery as per current industrial norms. Moreover, these are supplied to customers at equitable price tags. Since inception, we are engaged in fulfilling the diversified demands of the customers by bringing forth an array of Water Tube Solid Hot Water Boilers.Gas Fired Hot water generator,wood Fired Hot water generator,coal Fired Hot water generator,biomass Fired Hot water generator,Rice Husk Fired Hot water generator ,Ideally a solid fuel fired water tube hot water boiler, the range is available in varied capacities from 50 kg/hr to 400 kg/hr. Uniquely designed in a vertical tube membrane type, the range is suitable for pressures ranging from 4 kg/cm2 up to 32 kg/cm2. From the day of commencement, we are engaged in catering to the diversified demands of the customers by putting forth robustly designed Industrial Boiler. 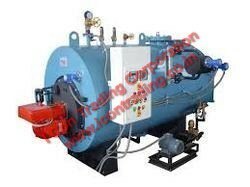 Under this range, we offer Water Tube Solid Hot Water Boilers, coal fired boilers,Shell Type Flue Tube Steam Boilers, Solid Fuel Fired Shell Type Flue Tube Steam Boilers, Water Tube Coil Type Steam Boilers, Oil/Gas Fired Thermic Fluid Heaters,thermopack boilers and Oil/Gas Fired Hot Air Generators,Solid Fuel Fired Steam Boilers for our esteemed clients based across the globe. The range encompasses Combipac Solid Fuel Fired Steam Boiler, Coal Fired Steam Boiler, Wood Fired Steam Boiler, Bagasse Fired Steam Boiler, Agro Waste Fired Steam Boiler and Husk Fired Steam Boiler. These are offered in different specifications and models to meet the exact application demands. More details about these boilers are mentioned below: to name a few. We manufacture the range in strict accordance with the global quality standards by employing modern machinery and genuine tools. Backed by dexterous professionals, we have been able to provide the customers with a commendable assortment of Solid Fuel Fired Shell Type Flue Tube Steam Boilers. The offered range bears a capacity up to 4TPH and can withstand working pressure till 18 kg/cm2. We are leading Manufacturer,Supplier and Exporter of Industrial Equipments & Furnaces like For Steam/Thermopack Boiler, Solid fire/Oil Fire/Gas Fire. Oil Pump, Boiler Spare & Parts, Industrial Laundry Equipment, Chimney,Tumbler, Flatwork Ironer, Oil & Gas Burner,Suntec Oil Burner Pump, Water Softener, Ion exchange Resin,Pipe Line Fabrication & Erection. across the Eastern India mainly Kolkata,West Bengal,Nepal, Bihar, Jharkhand, Orissa, Assam, Siliguri, Durgapur, Asansol, Ranchi, Dhanbad & Bhutan region." Abiding by the ethical norms & standards of the organization, we have been able to put forth clients a comprehensive assortment of Coil Type Water Tube Steam Boilers. Ideally a reverse flue, three pass, water tube design, the range provides instant steam within 4 minutes from cold start. Also, the range is provided with separate combustion chamber & smoke passage that assures perfect functioning. 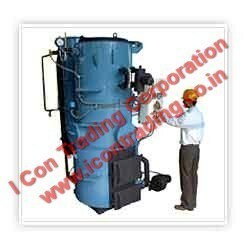 We, I Con Trading Corporation, Kolkata offering Coal Fired Boiler. 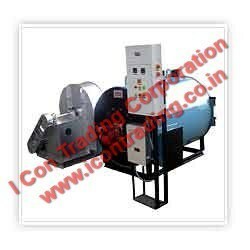 We provides both types of IBR & Non IBR types of Boiler. The offered range is highly acknowledged in the market for its high combustion efficiency, high reliability & availability, low maintenance costs, reduced erosion, enormous fuel flexibility and low emissions. Fitted with all safety instruments. Pressure and temperature as per customers requirement.